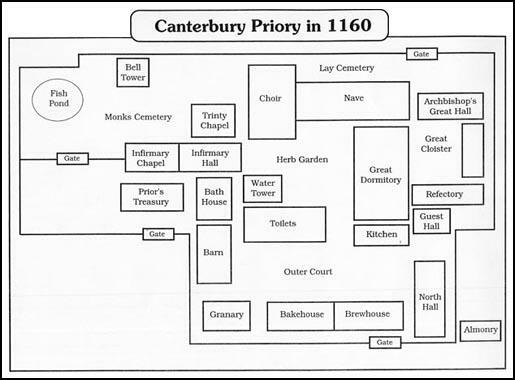 The first monasteries (religious houses) in England were formed in the 6th century. The Viking invasions destroyed most monastic communitites and by the 10th century monasticism was almost extinct. However, most of the Normans who arrived with William the Conqueror in 1066 were devout Christians. Norman landowners gave a considerable amount of money for the building of churches and monasteries in England. 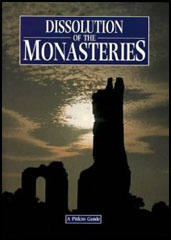 Over the next few years a large of monks arrived in England from Normandy. Another source of income was the collection of religious relics associated with Thomas Becket. People suffering from diseases and illnesses believed they would be cured if they touched these holy relics. In gratitude, the pilgrims donated money to the priory. In some years it was not unusual for the monastery to receive over a £1,000 from grateful pilgrims. All monks and nuns took vows of celibacy and wore distinctive habits (a long, loose garment). The main function and first responsibility of every religious house was to maintain the daily cycle of prayer. At least eight times the community would gather to sing or recite prayers. In some monasteries even the hours of sleep were broken by saying prayers at 2 a.m. in the morning. The monks spent a vast amount of money on food. One visitor was surprised when he discovered that the monks enjoyed sixteen-course meals, including the serving of meat, a food that St. Benedict had forbidden them to eat. The monks were especially fond of fish. The priory accounts show that in some years the monks spent nearly £250 a year on fish. Wine from France was another luxury item that the monks enjoyed. At the beginning of the 16th century monasteries owned well over a quarter of all the cultivated land in England. Farmers who rented land from the monks often criticized them for being greedy and uncaring landlords. It was also claimed that the monks had been corrupted by the wealth obtained from renting their land. Religious reformers inspired by the writings of Martin Luther began to criticise the behaviour of the monks and nuns in England. Cardinal Thomas Wolsey was Lord Chancellor and in 1519 he sent "visitors" to various monasteries in order to record the conditions and habits of the monks. The reports suggested that various levels of disorder and abuse were taking place. For example, it was reported that at Peterborough Monastery: "The lord abbot does not choose studious brothers but looks for lazy ones.. He sells wood and has kept the money for himself... He had in his chamber a certain maiden named Joan Turner... The monastery has no beds and other things for receiving guests." 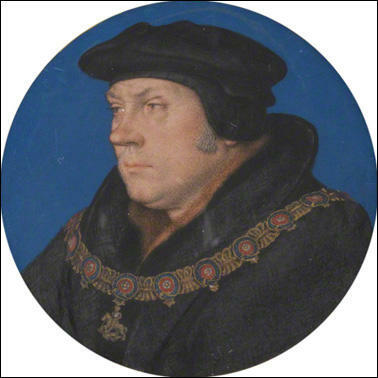 In January 1535, Thomas Cromwell was appointed as Vicar-General. This made him the King's deputy as Supreme Head of the Church. He had been a secret supporter of religious reformers such as William Tyndale, Robert Barnes, Richard Bayfield, Thomas Bilney, John Bradford, Simon Fish, John Frith, Miles Coverdale, Hugh Latimer, Nicholas Ridley, John Rogers and Nicholas Shaxton and over the next few years he used his power to make changes to the Church. Thomas Cromwell's first reaction to the reports was to remove the person in charge of the monastery. For example, when the prior of Winchester Cathedral Priory resigned, the visitor, Thomas Parry, suggested he should be replaced by William Basing, a monk of the house of the "better sort", as his replacement. Cromwell was aware that Basing was a reformer who "favoured the truth" and acted upon his advice. In January 1538, Thomas Cromwell turned his attention to religious shrines in England. For hundreds of years pilgrims had visited shrines that contained important religious relics. Wealthy pilgrims often gave expensive jewels and ornaments to the monks that looked after these shrines. Cromwell persuaded Henry to agree that the shrines should be closed down and the wealth that they had created given to the crown. Commissioners were sent round the country to seize relics and shrines. Henry VIII always believed that as Thomas Becket had disobeyed Henry II and had no right to be a saint. Moreover his shrine was the richest in England. (38) Orders were given to destroy the St. Thomas Becket's Shrine. It is claimed that chests of jewels were carried away so heavy that "six or eight strong men" were needed to carry each chest. (39) The previous year Henry VIII had visited the shrine in order to pray for the birth of a healthy son. (40) On 17th December 1538, the Pope announced to the Christian world that Henry VIII had been excommunicated from the Catholic church. Henry now had nothing to lose and he closed down the rest of the monasteries and nunneries in England, Wales and Ireland. All told. 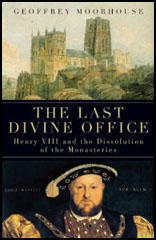 Henry closed down over 850 monastic houses between 1536 and 1540. 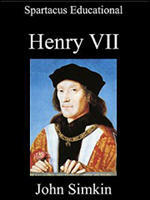 Those monks and nuns who did not oppose Henry's policies were granted pensions. However, these pensions did not allow for the rapid inflation that was taking place in England at that time and within a few years most monks and nuns were in a state of extreme poverty. The monasteries of early Tudor England had still not recovered from the Black Death which had halved their population and wiped out some communities altogether. Monastic revenues were now so large, relative to the number of monks, that they encouraged worldliness, and the reports of episcopal visitors in the century preceding the Dissolution show how standards were declining. Feasting had replaced fasting, dress was extravagant, services were poorly attended.... Feasting had replaced fasting, dress was extravagant, services were poorly attended... In charity and hospitality the same decline is recorded. Almsgiving may have averaged the stipulated one-tenth of monastic revenues, but it was indiscriminate and did little to relieve the genuine problem of poverty. Lampley: "Mariana Wryte had given birth three times, and Johanna Snaden, six"
Lichfield: "two of the nuns were with child"
Whitby "Abbot Hexham took his cut at the proceeds from piracy"
Bradley: "prior hath six children"
Abbotsbury: "abbot wrongfully selling timber"
Pershore: "monks drunk at mass"
One prior was accused of preaching treason and was forced to his knees before he confessed. The abbot of Foundations kept six whores... The canons of Leicester Abbey were accused of buggery. The prior of Crutched Friars was found in bed with a woman at eleven o'clock on a Friday morning. The abbot of West Langdon was described as the "drunkenest knave living". Consequently all religious houses with an income of less than £200 a year were to be dissolved and their assets given to the king. This he was able to steer safely through both houses, and it received the royal assent on 14 April, coming into immediate effect. A companion statute, passed at the same time, established a Court of Augmentations to administer this property on the king's behalf, and this also bears the unmistakable marks of its origin in the secretary's office, because it formed a key element in his reorganisation of the financial administration, and because the first officers of the court all had close associations with Cromwell. Queen Anne Boleyn was opposed to this secularisation of the monastic properties, arguing forcefully that the proceeds should be used for religious purposes, such as education, and it may be that the new parliament, which met in June, was called partly to resolve this disagreement. Whatever the charge, however, Whiting was sent back to Somerset in the care of Pollard and reached Wells on 14 November. Here some sort of trial apparently took place, and next day, Saturday, 15 November, he was taken to Glastonbury with two of his monks, Dom John Thorne and Dom Roger James, where all three were fastened upon hurdles and dragged by horses to the top of Toe Hill which overlooks the town. Here they were hanged, drawn and quartered, Abbot Whiting's head being fastened over the gate of the now deserted abbey and his limbs exposed at Wells, Bath, Ilchester and Bridgewater. Richard Whiting was beatified by Pope Leo XIII in his decree of 13 May, 1895.